I visited UNL as a senior in high school on a whim while I was in Nebraska for the Aksarben Livestock Show, and immediately I felt at home. During my visit, I met CASNR Dean Emeritus Steve Waller who welcomed me to East Campus with open arms. 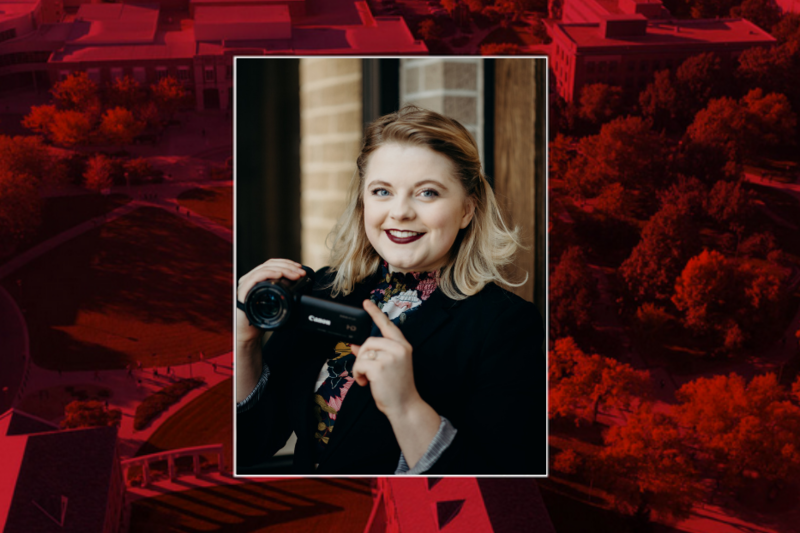 I became interested in CASNR’s unique agricultural and environmental sciences communication major because I wanted to connect my passions of storytelling and natural resources. When I came to UNL as a freshman in 2015, I doubt anyone knew the opportunities this stellar university had in store for me. What is your favorite thing about University of Nebraska–Lincoln? The opportunities to get involved across campus and in the community are my favorite aspects about UNL. My involvement in the Nebraska Circle of Omicron Delta Kappa (ODK), the national leadership honor society recognizing excellence in arts, athletics, journalism, scholarship and service, has been my favorite part of college. The relationships I have built through ODK with leaders across campus will stay with me far beyond my days at UNL. I also owe a lot of my personal development to my involvement in the Alpha Chapter of Pi Alpha Chi and Agricultural Communicators of Tomorrow. Additionally, I have gotten the amazing opportunity to intern with the Rural Futures Institute at the University of Nebraska and work on developing my multimedia production skills on projects like “Catch Up With Chuck” (a 30 episode Facebook Live series) and “Rural Futures with Dr. Connie” (a podcast available at ruralfutures.nebraska.edu/podcast). I believe that having a diverse group of experiences and stories among students and professors is very important to one’s college career. The opportunity to work with students from across the world on addressing international agricultural and environmental challenges in my course work has been a major benefit of my CASNR experience. Most beneficial, however, has been the chance to learn from diverse mentors and role models that hold leadership roles at the university. Specifically, three of my role models at the Rural Futures Institute—Dr. Connie Reimers-Hild, Dr. Helen Fagan and Katelyn Ideus—have helped me find confidence and trust in myself on a professional and personal level. When I took ALEC 341, Podcasting to Increase Science Literacy, I had no idea how beneficial it would be. Looking back on my college career and the real-world applications of course materials, ALEC 341 helped me develop my audio production, editing and storytelling skills. I use lessons from this course every day as I work on post-production for the “Rural Futures with Dr. Connie” podcast in my internship. Above all, Dr. Loizzo is an incredible professor who cares about her students and an inspiring role model in agricultural and environmental sciences communication. After graduation, I hope to work for an environmentally-based nonprofit in multimedia communications. I am looking forward to the opportunity to connect my communications skills with my passions in conservation and sustainability and goal to elevate unheard voices. When I’m not studying or working, you can find me jamming out to Neck Deep or watching Milwaukee Bucks games. I also am a proud guinea pig mom to two of the sweetest fur babies on the planet—Freya and Sif. Any extra spare time I have is devoted to building my portfolio and working on creative projects, which can be found at www.kathrynbagniewski.com.